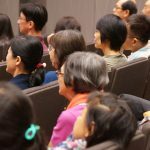 This is the first article in a three part series about the experiences of the winners of Modern Aging Singapore 2017, featuring Amit Virmani, co founder of Alo. 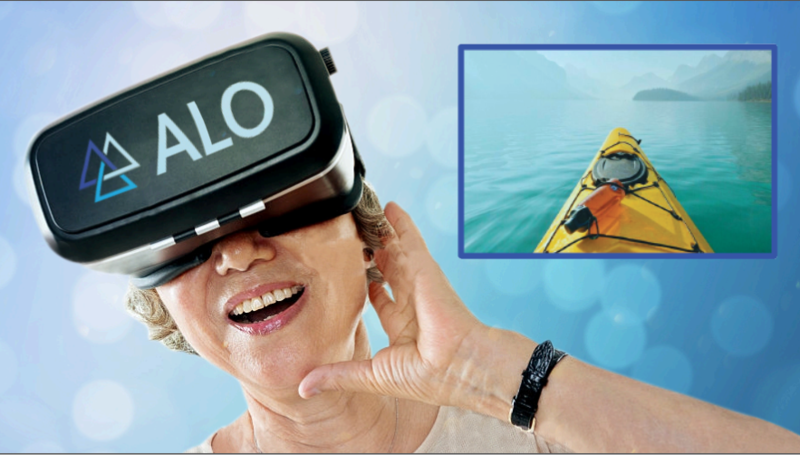 Alo creates immersive virtual reality content for seniors to enable them to access new experiences. The idea for Alo first came about when Amit and his co founder met at a coffeeshop to discuss possible ideas for their next film. While there, they chanced upon an elderly gentleman who had not spoken to anyone in two days. Both filmmakers walked away from the encounter knowing that they wanted to tackle social isolation among seniors for their next project. They initially considered producing a film to raise awareness of this issue, but eventually decided not to proceed with it as they felt that it would limit audience engagement with their stories. Upon further research, they realized that virtual reality would be most suitable – its immersive nature would allow them to continue to produce content and tell stories while potentially boosting audience engagement. At a time when virtual reality technology was still in its early stages of development, it was important for Amit and his team to have their ideas validated before making significant decisions about their product. Over the course of the Modern Aging program, they interviewed about a hundred individuals weekly, ranging from seniors to staff at senior care organizations, and conducted user experience trials with them. The team was thus able to examine their assumptions about seniors and improve their product accordingly. The experience broadened their perspectives on what they could pursue with virtual reality – they could expand access to virtual reality content instead of making it available only at one time events at nursing homes. Initially, the team interviewed seniors at different venues such as hawker centres. They eventually focused on a specific target group which would stand to benefit most from exposure to virtual reality content – seniors living in nursing homes and aged care facilities. 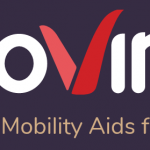 While the team initially conducted one time assessments with different groups of nursing home residents, they have since implemented a longer user experience trial involving weekly sessions for each group of participants over a longer duration. If their virtual reality content improves the cognitive and physical functioning of the nursing home residents, their product’s proof of concept will be strengthened. While Alo is currently targeting residents of aged care facilities, they hope to bring their virtual reality content directly to senior consumers in the future. Alo’s work with virtual reality has been exciting yet challenging. When the team first made their foray into virtual reality, virtual reality headsets were still bulky and unideal for younger users, let alone seniors. Fortunately, the virtual reality industry has since experienced rapid development, with device designs improving in leaps and bounds. This enabled the team to produce a workable demo version of their product three weeks into the Modern Aging program. Other challenges they faced included existing virtual reality content not being tailored to meet the needs and preferences of older adults. However, the team was aware of these obstacles before embarking on the project and was able to take these challenges in their stride. Reflecting on his experiences thus far, Amit shares that he found it rewarding to adapt virtual reality content for therapeutic purposes. While the team was conducting their user experience trials, the staff at a nursing home had requested that they create virtual reality content to encourage bedbound residents to engage in some form of exercise, even if that meant just moving their heads and neck. Under normal circumstances, users who lie on their back and look up at the ceiling are only able to see the sky in a virtual reality setting. Thus, the team had to redesign the content to make it usable for this particular segment of nursing home residents. Some of Amit’s most memorable moments include meeting Maureen, a participant in Alo’s trials who was eighty three years young. After experiencing a virtual reality session where she went scuba diving, she turned to the team and joked that she could now boast to her children that she, like them, had gone scuba diving. Whether older adults stay in nursing homes or age in place, many of them experience some degree of isolation as the range of their experiences becomes more limited with age. Amit’s interaction with Maureen thus reminded him that keeping the worlds of seniors open and giving them new experiences were important as these enabled them to make connections and conversations with others. As Amit puts it, with virtual reality, “life never gets old”. Since starting Alo, Amit and his team have developed greater empathy for seniors and become more aware of the little things that can be done to help them thrive and be happier. He explains that seniors’ needs may not always be addressed by technology. “Sometimes it’s the little things that count the most. Like taking the effort to make seniors feel included in the community, or family, or even an ongoing conversation,” he reflects. As virtual reality is just another medium through which Amit continues to tell stories, he does not quite see himself as an entrepreneur. That said, he believes that producing each of his films in the past was a unique entrepreneurial journey on its own with its fair share of uncertainties. The difference between then and now is that the production of his films had a clear end point, whereas developing Alo does not. However, in working with virtual reality, he appreciates that he now has a clearer purpose in his storytelling and can engage his audiences better. On advice for future Modern Aging participants, Amit believes that participants should be prepared that their original ideas will change and see these changes as a journey of growth where they “[get] rid of all the wrong assumptions about seniors that they have made”. More importantly, Amit believes that the key to success is to believe in oneself even during the many tough and trying times. In the future, Alo hopes to be the platform of choice for seniors who want to be engaged, enjoy fresh experiences, and have deeper connections with the community. With virtual reality, the team is confident that they can serve those needs regardless of any aging related limitations. Alo joins a growing community of startups engaged and excited about the potential of the aging community. Come join this ecosystem of businesses in the elder care space and bring your solutions to the market – apply at https://modernaging.sg/accelerator/ by June 30, 2018!